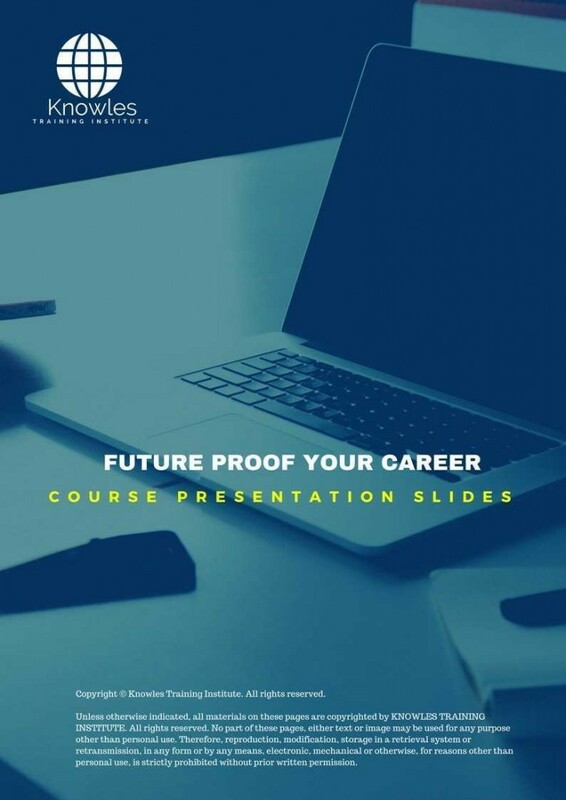 Future Proof Your Career Course is an important unit that will help learners and professionals learn ways that they can use to remain relevant to their employers. Changes in technology are affecting many jobs nowadays. To take this course will help learners avoid the negative effects of technology advancement at workplaces. The skills developed will help learners to remain relevant in the unforeseeable future. Despite what the future holds, they will be capable of making the right adjustments. Learners will understand ways to embrace changes and become flexible. The course will also help professionals learn methods of implementing changes and ways to avoid resistance to change. It’ll also create a creative workforce and support innovation in the workplace. 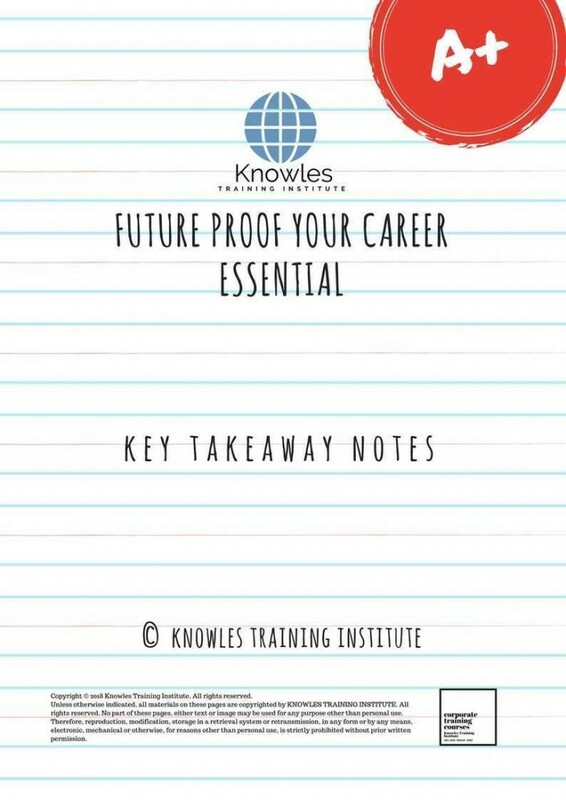 This Future Proof Your Career workshop is ideal for anyone who would like to gain a strong grasp and improve their Future Proof Your Career. 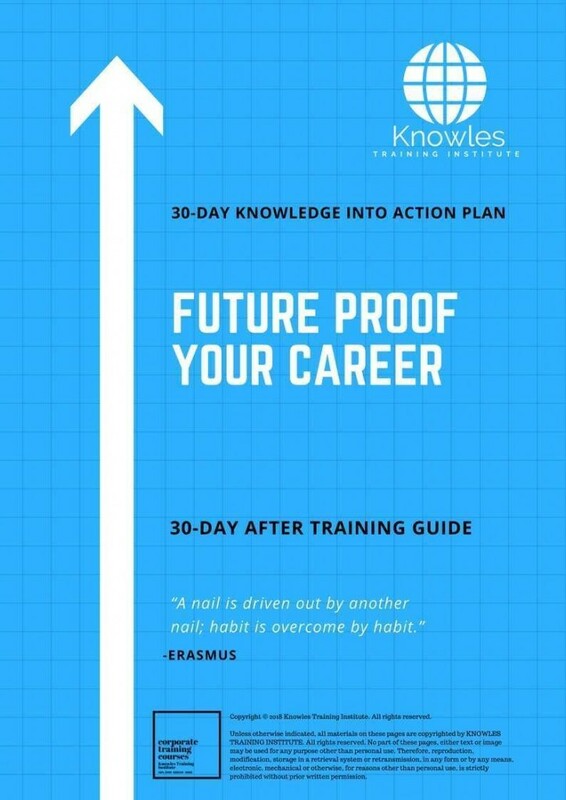 The duration of this Future Proof Your Career workshop is 1 full day. Knowles Training Institute will also be able to contextualised this workshop according to different durations; 2 full days, 1 day, half day, 90 minutes and 60 minutes. What is the meaning of future proof your career? 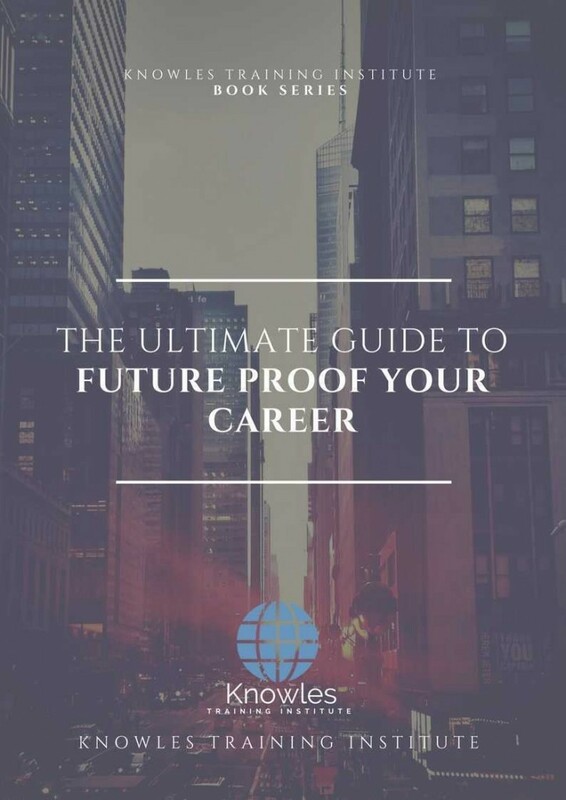 Why is it important to future proof your career? 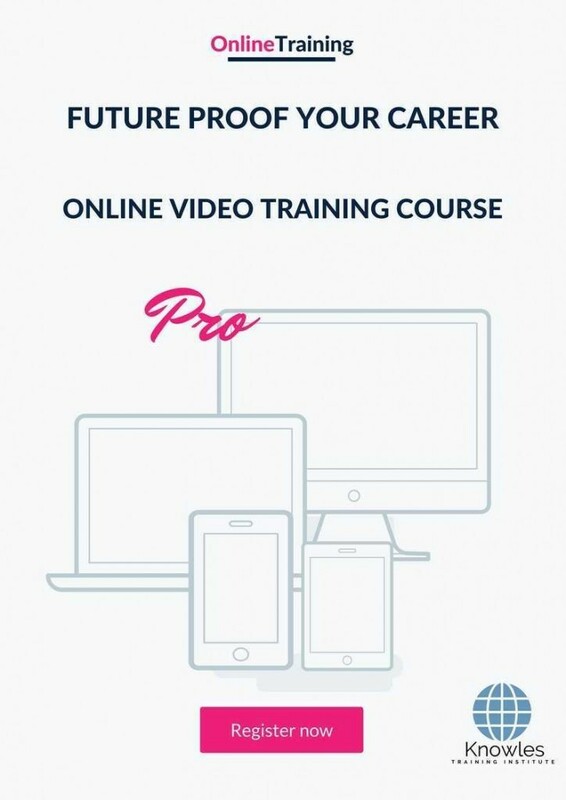 There are 3 pricing options available for this Future Proof Your Career training course. 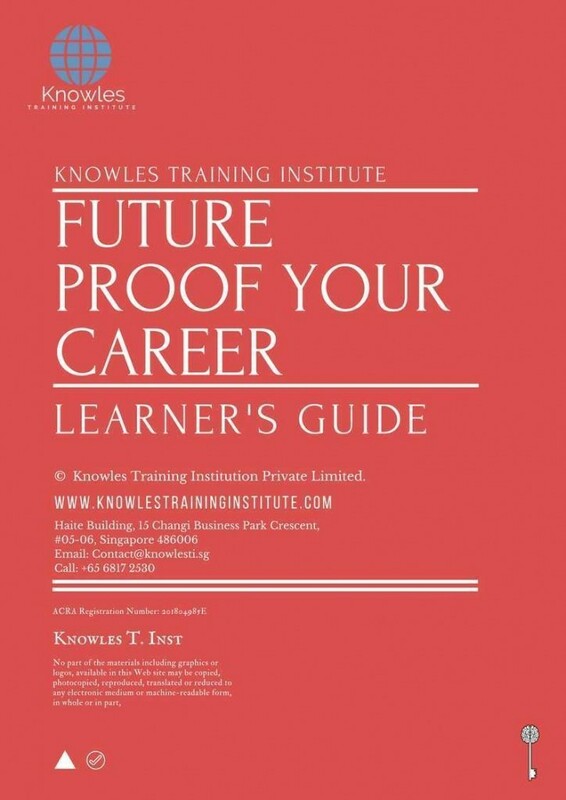 Course participants not in Singapore may choose to sign up for our online Future Proof Your Career training course. Request for this Future Proof Your Career course brochure. Fill up the short information below and we will send it to you right away! Register For This Future Proof Your Career Course Now! 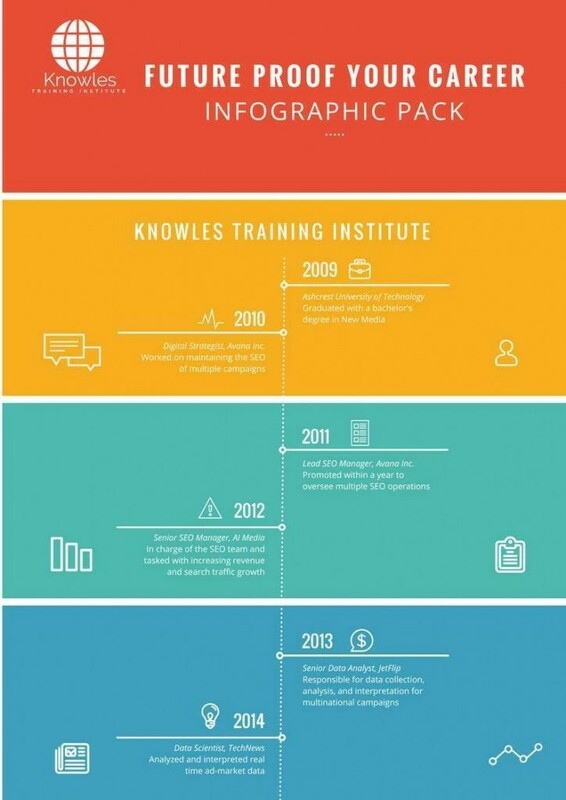 Share This Future Proof Your Career Training Course! 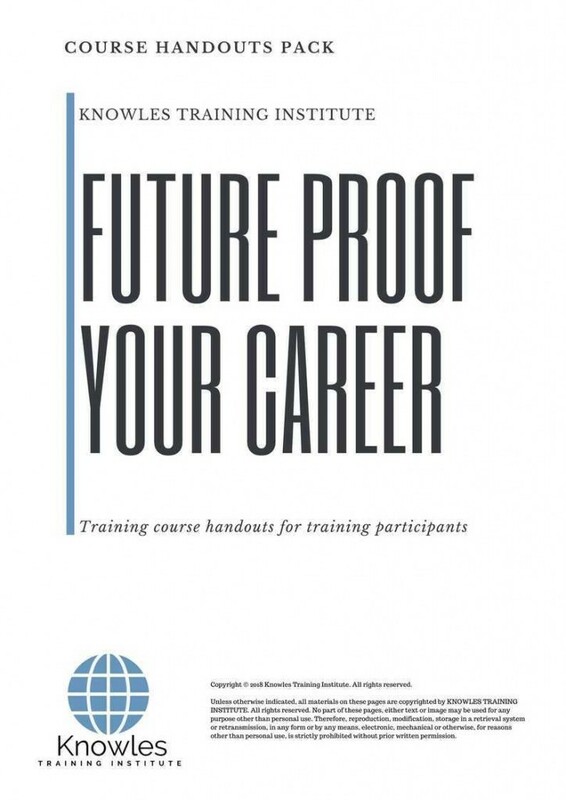 Future Proof Your Career course, workshop, training, class, seminar, talk, program, programme, activity, lecture. 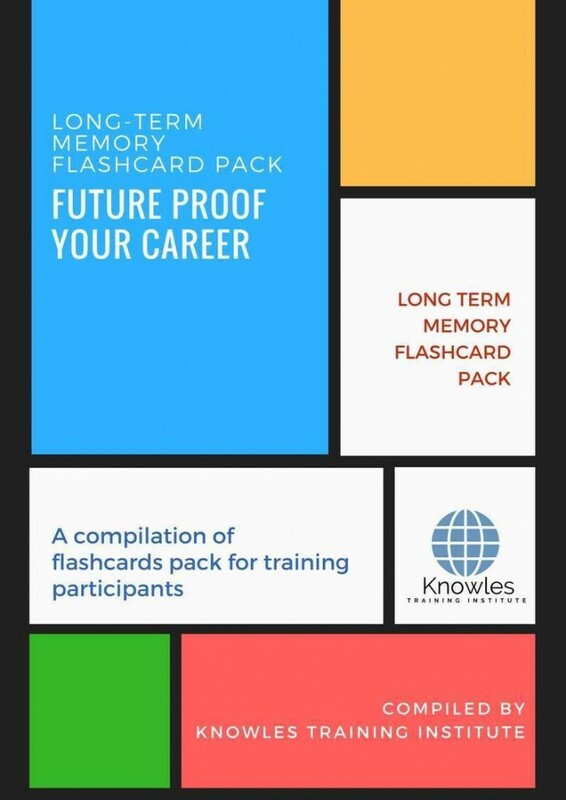 Future Proof Your Career courses, workshops, classes, seminars, talks, programs, programmes, activities, lectures in Singapore. Future Proof Your Career improvement tips, Future Proof Your Career techniques, improve Future Proof Your Career, improve Future Proof Your Career games, Future Proof Your Career improvement exercises, improve Future Proof Your Career power, how to have good Future Proof Your Career, how to have good Future Proof Your Career in studying, how to build up your Future Proof Your Career, how to improve Future Proof Your Career how to improve Future Proof Your Career course in Singapore. Enhance, boost, build up, enlarge, heighten Future Proof Your Career course in Singapore. Increase, intensify, raise, reinforce, strengthen Future Proof Your Career. Upgrade, amplify, boom, elevate, exaggerate, magnify, grow, gain Future Proof Your Career. 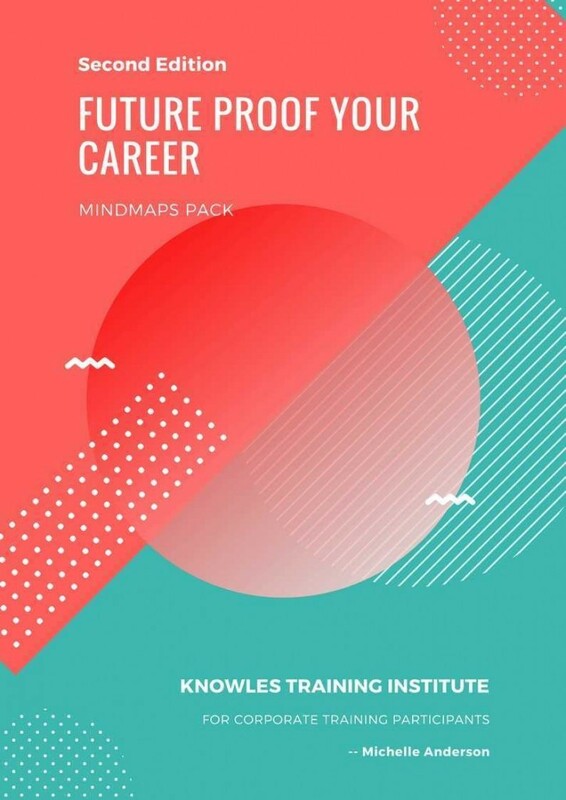 Develop Future Proof Your Career, multiple, power up, beef up, bolster, establish, extend Future Proof Your Career. Invigorate, restore, step up, toughen, empower, fortify, regenerate Future Proof Your Career. Rejuvenate, renew, escalate, expand, maximize Future Proof Your Career. 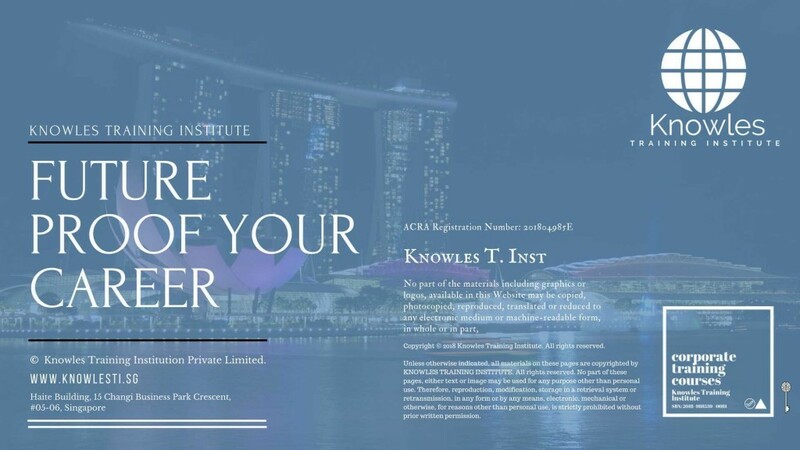 Powerful, mighty, impressive, competent, great, excellent, exceptional Future Proof Your Career in Singapore. Superb Future Proof Your Career. Super, superior, strong, solid, active Future Proof Your Career training courses and workshops in Singapore. Future Proof Your Career enhancement, booster, building up, enlargement, heightening, increment, strengthening, amplification. 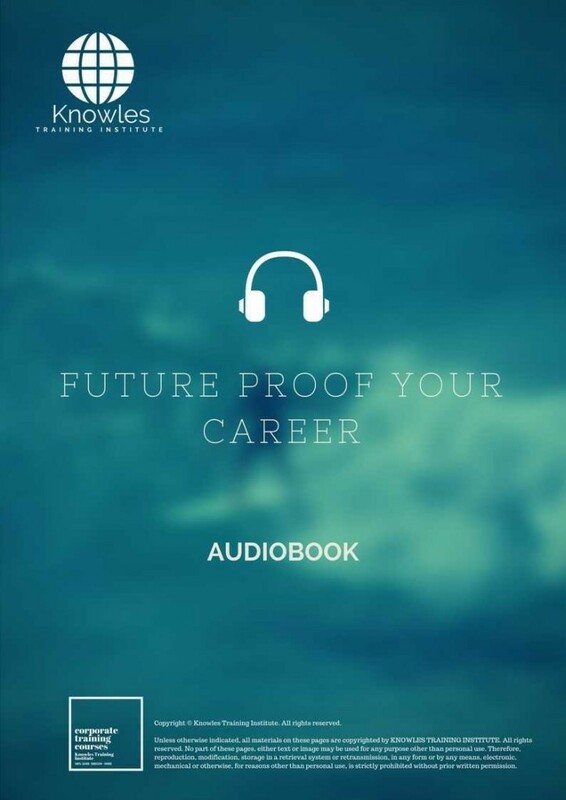 Future Proof Your Career magnification, growth, development, power, empowerment, regeneration. Future Proof Your Career rejuvenation, development, escalation, expansion. 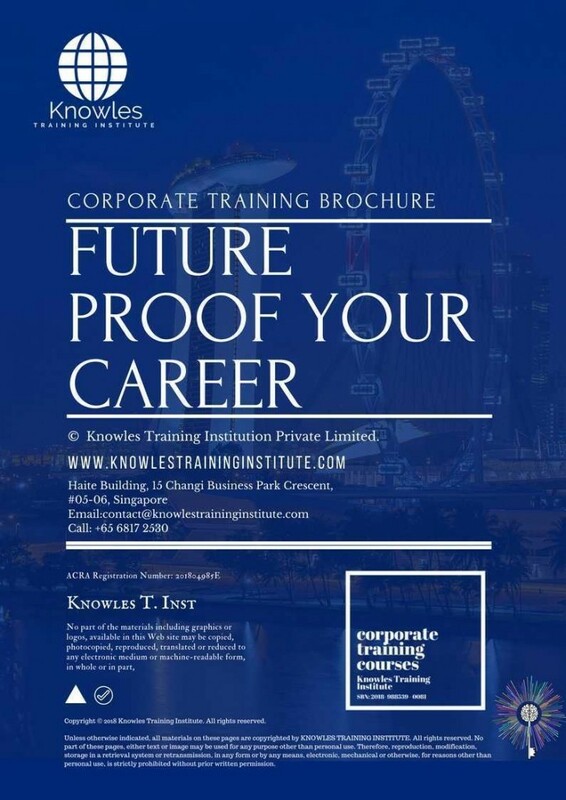 Future Proof Your Career maximization, power training courses & workshops in Singapore.